Most fly lines these days already come with welded loops at the ends for the easy attachment of backing and leaders. If you fish as much as I do though, eventually they get worn out and need to be replaced. 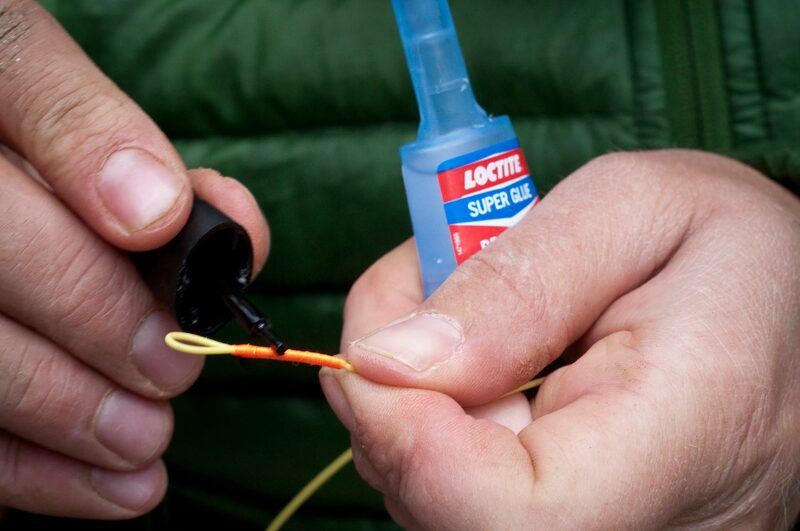 Most anglers just use a standard albright knot or nail knot to fix this. It works perfectly fine, but I prefer instead to tie my own fly line loops with a fly tying bobbin and thread. 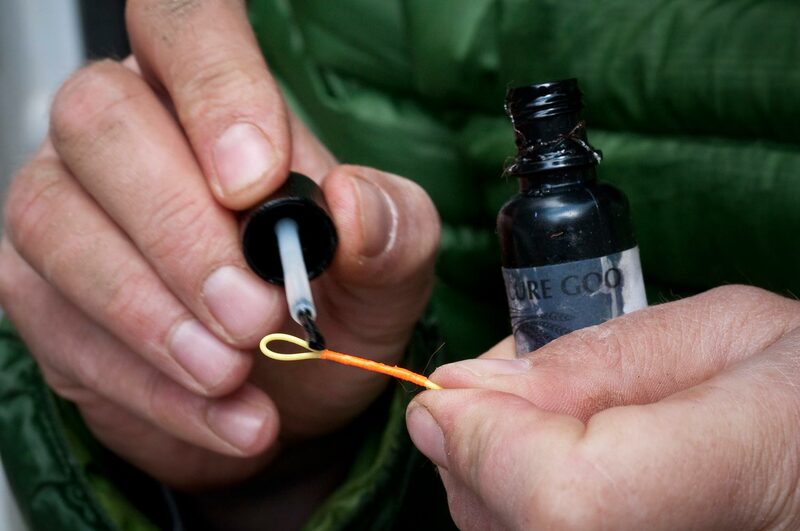 Done correctly, it will provide a stronger connection to your leader than the manufacturers welded loops or knots you tie (this is important when fly fishing for big game species). The bright thread that you tie the loop with also works really well as a spotter. 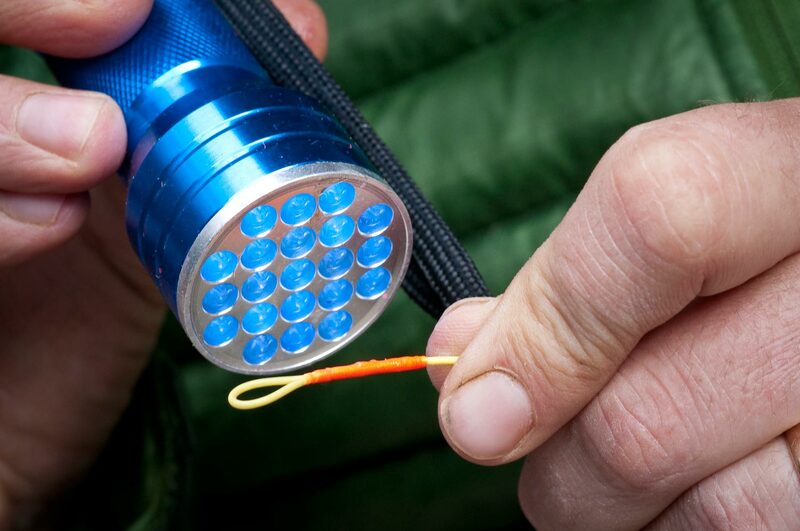 It comes in real handy when you’re fly fishing and you have conditions where it’s hard to keep track of your fly in the water. 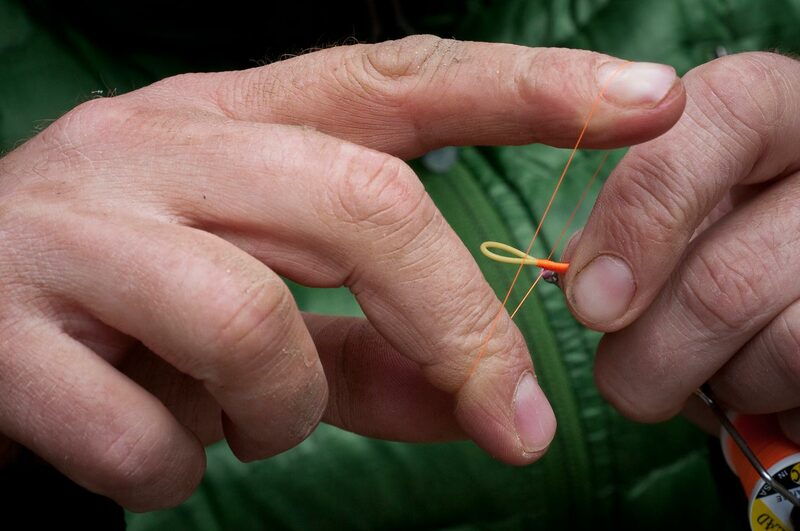 That bright spot on the end of your fly line provides a quick reference that your fly is a leaders length away. 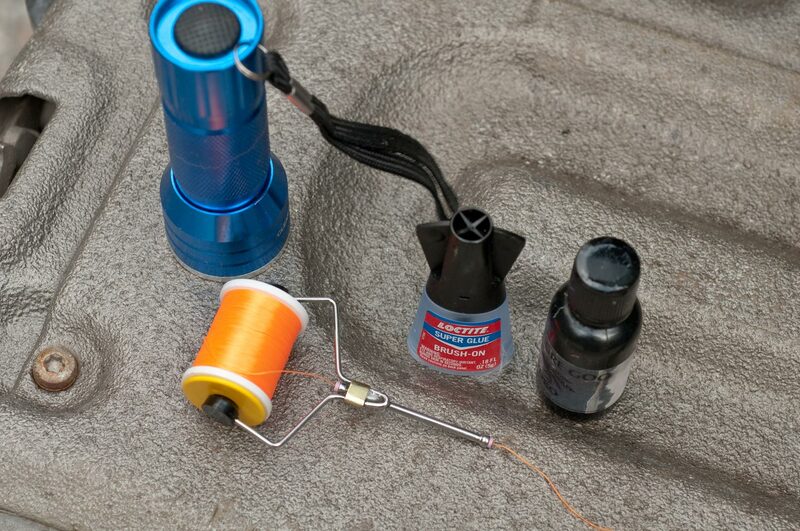 Below are step-by-step instructions for tying your own fly line loops. 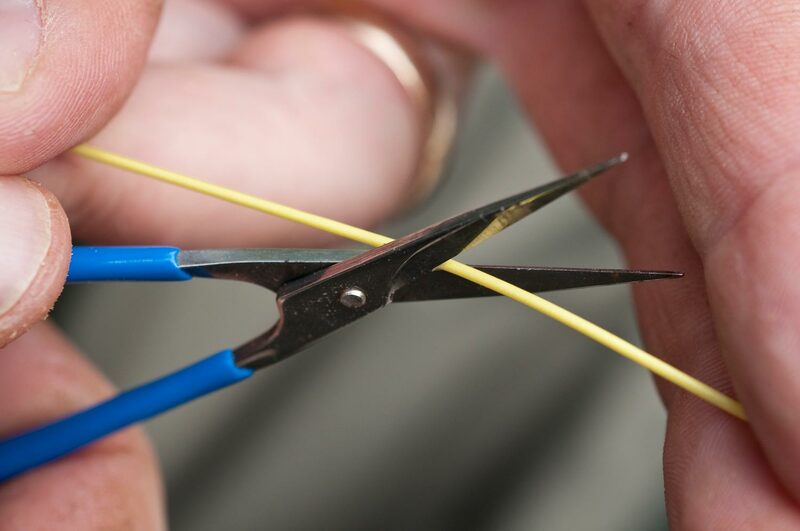 You’ll want to make sure you make a clean 45 degree cut on your fly line before you start. This will allow you to wrap the thread and fly line, finishing with a nice tapered end. 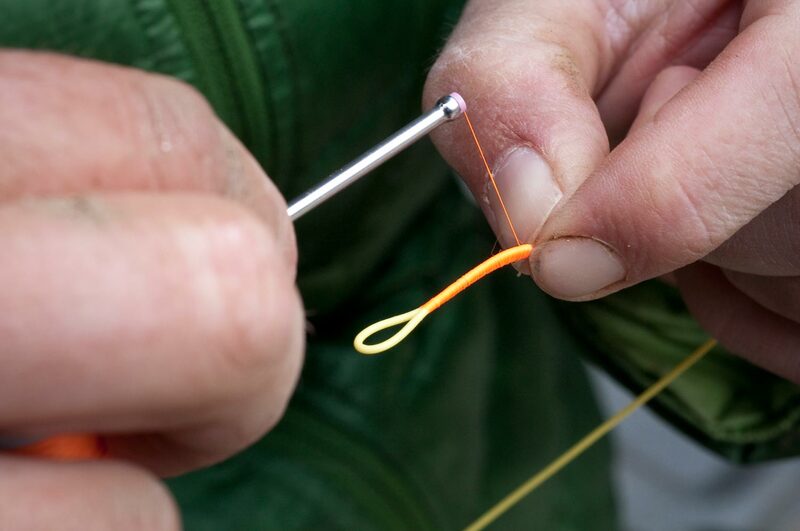 Step 2: Fold over the fly line and secure it down with thread wraps. 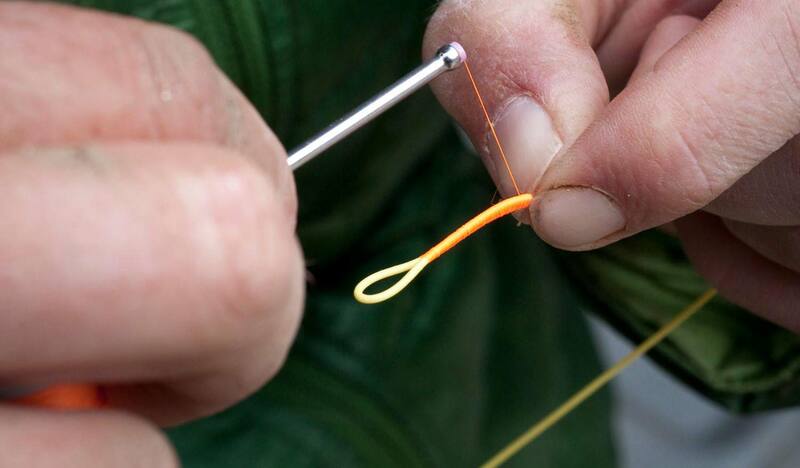 Start wrapping your thread at the loop and work your way back slowly until you’ve covered the 45 degree cut fly line all the way. Then, work it all the way back up to the loop. Be precise with your wraps, making them neat. Doing so, you won’t have to build everything up so bulky and use so much thread wraps. Step 3: Whip finish to secure thread and cut with scissors. Whip finish the thread a couple times and cut the thread. Pack and use a whip finish tool if you need one to tie this knot. This step is probably overkill but I’m a man that believes in redundancy. I don’t have a problem waiting ten seconds for the glue to dry so I have two layers of protection and strength. Brush on a thin and even coat of Clear Cure Goo UV Hydro to the threaded area. Remember, you can always add a second coat if you need to, so don’t get messy here. The UV light is a must if you’re doing this indoors or on really cloudy days. I carry it with me most of the time, simply because if I don’t have it, that’s when I’ll need it. Fifteen seconds with the UV light and everything should set up a nice and you’ll have yourself a super strong fly line loop. This entry was posted in Fly Fishing Gear, Fly Fishing Tips & Technique by Louis Cahill. Bookmark the permalink. Now that CCG is out of business, what UV Cement do you recommend as a suitable replacement and you prefer not to use Loon Knot Sense? I’m digging the Solarez that’s on the market right now. The thin resin would be the best substitute in my opinion. At my shop in the 90s we used to use the double nail knot to make loops and I tested it with a connection to double lined40 lb. mono. The fly line broke before the knot every time. That being said, a whipped loop is more streamlined than the double nail knot. I think if I ever get concerned about a welded loop breaking I ‘ll probably just tie a double nail knot over the weld!! What strength thread and would you use this method vs double nail knots for larger game in salt?